Whether you are doing a study of marine life or have a child who loves the ocean, under the sea crafts are a great way to learn more about the subject. If you have a beach available to you, collecting materials and getting ideas is easy. If not, you will have to rely on your local craft store for supplies. Kids love to craft. Here are a few ocean-related crafts that children can make with some help from you. Give them the opportunity to use their imaginations with the crafts rather than following a standard set of rules for colors and other details. Younger children love to use glitter, and it gives the project a sparkly look that brings the crafts to life. It is a simple thing to make a starfish for a mobile or other decoration. You will just need some poster board, white glue, and sand. Cut a starfish shape out of poster board. 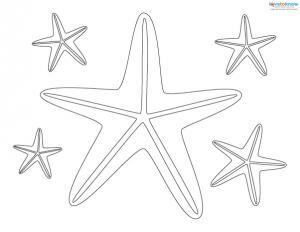 Cover the shape with white glue, and then sprinkle the sand over the starfish. You can even add glitter to the sand to give it a wet, sparkly look. Allow your work to dry overnight before using it in the craft project of your choice. Use these instructions to make a simple whale mobile from paper. 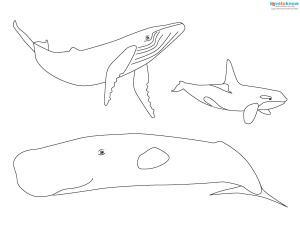 You can use the same species of whale or make a mobile of all the different kinds that you are studying. You can use the same idea to make mobiles of other types of sea life from shark species to sea mammals. If you are studying about fish and other marine life, this craft is the perfect way to recycle old soda bottles. By removing the label and adding tissue paper, your students can create realistic or imaginary multicolored fish. There are also instructions for creating sea creatures out of old socks on this page. Everyone knows that if you have kids, saving toilet paper rolls for projects is important. This octopus is a cute way to use those cardboard rolls to make octopi with construction paper, googly eyes, and other embellishments. Whether you want to make a craft as a gift or part of your seaside-themed décor, there are crafts and patterns to allow you to sew, crochet, and create all sorts of projects. If you want to keep the crafts realistic, do some research to see what different ocean creatures look like, what colors they are, and where they live. There is nothing wrong with complete fantasy either. Just take some time to enjoy making one or two of these projects. You can create a sea shell picture from from an inexpensive thrift shop or dollar store frame. Just buy a frame with at least a 1/4 inch width and hot glue small sea shells, sea horses, and starfish on it from the local craft store or from items you have picked up at the beach. You can also add sea glass and small pebbles for more interest. Lay the frame flat, and allow it to dry overnight. Sailors used to make items from sea shells and other ocean-related objects during their long voyages. These were called sailor's Valentines and are very collectible. 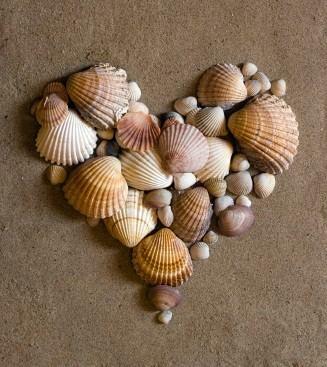 You can make your own with a heart cut from poster board or wood and some shells and other ocean items from the local craft store. Hot glue shells, sea horses, and other items to the heart shape, and allow it to dry thoroughly. You can hang the decoration on a wall or display it in some other way depending on its size. This page contains images and links to several amigurumi crocheted sea creatures such as a sea horse, clown fish, and even Sponge Bob. Use leftover scraps of yarn from other projects to create colorful characters. Here is a simple knitting pattern for a colorful octopus that would make a great baby toy. You could even insert a rattle before filling the octopus with stuffing. With under the sea crafts you can recreate summer vacation in the middle of winter. Use warm, vibrant colors, and put some Reggae music on the radio to help you to take a little tropical vacation any time of the year.